Painter, graphic artist, creator of animated films, illustrator, writer, journalist. He is the winner of the most prestigious prize for children’s books, the Hans Christian Andersen Prize (2012), the Golden Bear from the Film Festival in Berlin and two Magnesia Literas (2006 and 2008) in the category of Readers’ Prize. His work has been published in English, French, German and a further ten languages. He was born in Brno on 11 May 1949. Sís is the master of the picture book biography. Whether recounting the life of Columbus, Galileo, Darwin or Saint-Exupéry, Sis sees a pattern: A little boy follows his dream into adulthood and changes the world. He started off as a musician and music journalist, painted posters and album covers and later filmed video clips. He graduated from VŠUP (the Academy of Arts, Architecture and Design) in Prague and the Royal College of Art in London, and he started off making animated films. He was awarded a Golden Bear at the festival in Berlin for the film Hlavy (Heads, 1980). In 1982 he was granted permission to travel from communist Czechoslovakia to Los Angeles, where he recorded a theme tune for the Olympic Games; however, the games were then boycotted by the countries of the Eastern Bloc and Sís was no longer permitted to return to his homeland. He now lives in New York. He has illustrated around sixty books and created another thirty as artist’s books. He debuted with illustrations of Czech and international fairy tales, and the first of his artist’s books which was published in German was the story of Christopher Columbus, which was followed by French and German fairy tales. 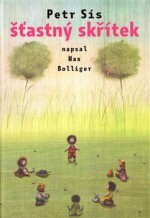 The first of his books to become available to Czech readers was Podivuhodný příběh Eskymo Welzla (The Curious Case of Eskimo Welzl, Paseka, 1995), followed by Tři zlaté klíče (Three Golden Keys, Albatros, 1995), which was also published in French in the same year as The Three Golden Keys to Prague. The keys in the stories open mysterious locks to old Prague legends about Bruncvík, the Golem, and Master Hanuš and his astronomical clock on the Old Town Square. The artist’s book Hvězdný posel (Starry Messenger) recounts the life of the famous scientist, mathematician, astronomer, philosopher and physicist Galileo Galilei (Albatros, 1996). 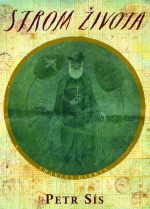 Another series of books by Sís was published in German, French and Spanish between 1997 and 2004, while the next one to be published in Czech in this country was a book about the life of the naturalist, geologist and thinker Charles Darwin entitled Strom života (The Tree of Life, Raketa, 2004), which was translated into Czech by Viktor Janiš. For this book Sís was awarded the top prize at the International Children’s Book Fair in Bologna. 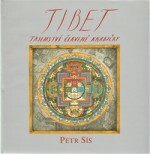 His next book was Tibet: tajemství červené krabičky (Tibet Through the Red Box, Raketa, Labyrint, 2005). In it the author as the narrator opens a red box which he got from his father and with the help of its contents sets off to Tibet on the trail of his father. 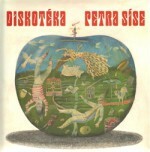 Pavla Vraspírová offers the following description on iLiteratura.cz: “The book is a unique work of art in which Sís’s attention to detail can be observed on every page. He often uses the motif of the family and draws himself, his mother and the white outline of his father in order to show that his father was hundreds of kilometres away at that time. The drawings, reminiscent of mandalas or complex mazes, are very charming. Many pages are covered with collages of drawn-on diary pages and scenes from Tibetan mythology. 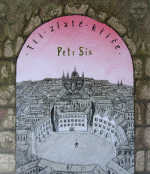 Each story is followed by a large drawing of a landscape which takes up a full double-page spread, thus providing a natural division between the individual sections of the book.” Sís was awarded the Readers’ Prize for it in the Magnesia Litera 2006 competition. 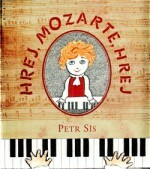 This was followed by the book Hrej, Mozarte, hrej (Play, Mozart, Play, Labyrint, 2006), which was translated from English into Czech by the author himself. On the occasion of the 250th anniversary of the birth of Wolfgang Amadeus Mozart, Sís retold and illustrated the life of the young genius composer. 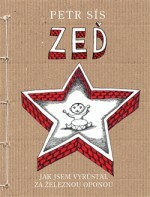 The book Zeď: jak jsem vyrůstal za železnou oponou (Wall: Growing Up Behind the Iron Curtain, Labyrint, 2007) charts the author’s childhood and adolescence in communist Czechoslovakia, but again is very much about the detail in the pictures. As Svatava Urbancová writes in her study in the monograph Pohyby (Movements), “Sís’s books are distinguished by the considered choice of subject matter and composition, and the layering of symbols, meanings and motifs (for example, the motif of the journey, the trail, the fingerprint and the map frequently appear); he does not waste space and has everything carefully worked out from the cover to the last page. He employs typography as an illustrative element, and once we open the book we have to “read” every page carefully, because everything has a meaning.” The author was awarded a second Magnesia Litera for the book in the category Readers’ Prize 2008. 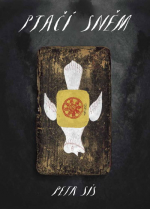 Ptačí sněm (The Conference of the Birds, Labyrint, 2011) is the author’s version of the ancient myth about the journey of birds to the mysterious Mount Qaf, about the fact that everybody has peace inside himself and that the journey can also be the destination. 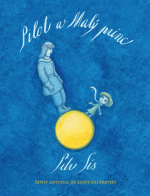 On the anniversary of the death of Antoine de Saint-Exupéry, Sís created the artist’s book Pilot a Malý princ (The Pilot and the Little Prince, Labyrint, 2014), which is actually a biography of Exupéry and an affectionate pictorial account of how the great man never ceased to be a child.